handling trolleys that improve efficiency & safety. 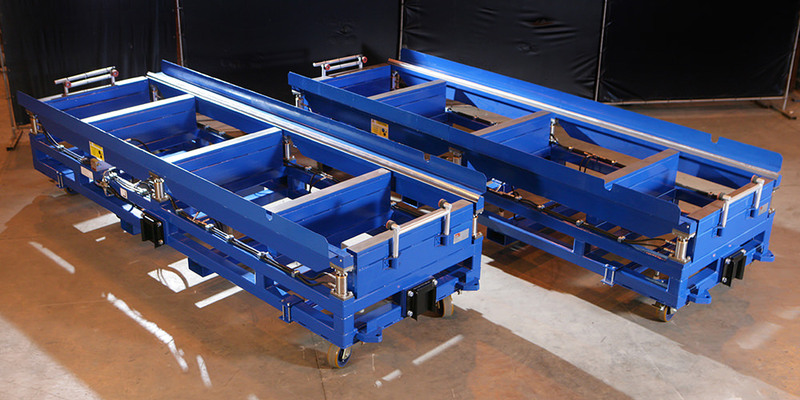 The trolleys range in length from 2m to 4.5m and are capable of lifting between 14 tonne and 20 tonne. Each trolley comprises a structural steel frame supported by castors which provide the trolley with its manoeuvrability. Located on top of the main steel frame are stainless steel double acting hydraulic rams which in turn support the tool guide rails. This hydraulic capability allows the relevant tools to be loaded and unloaded into or out of the press during manufacture with minimal effort. The aileron tool trolley is equipped with a cooling deck constructed from 304 stainless steel, to aid in the cooling down process. The tools leave the press at temperatures of up to 200°C and are loaded onto the trolley cooling deck to begin their cooling cycle. The method of manoeuvring existing trolleys on site is by employing the use of a self propelled, pedestrian operated Master Mover thereby reducing the risk involved in manual handling. 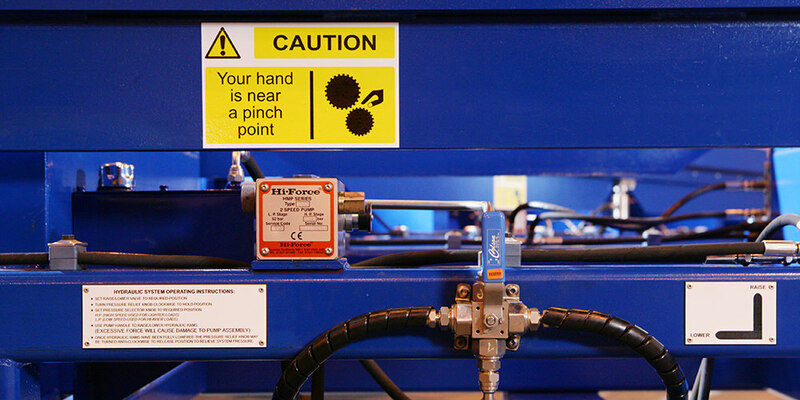 To ensure correct alignment between the press and the tool, two locator pins on the underside of the trolley locate with a floor mounted track system that Bombardier Aerospace employs. The trolleys are also equipped with forklift lifting points which allow a safe and reliable method of elevating the entire trolley.